Your life story, your knowledge, and your message—what you know from experience and want to share with the world—have greater importance and market value than you probably ever dreamed. • You are here to make a difference in this world, and the best way to do that is to use your knowledge and experience (on any topic, in any industry) to help others succeed. • You can get paid for sharing advice and how-to information that helps others succeed, and in the process you can build a very lucrative business and a profoundly meaningful life. The expert industry is a caring community of people who share their advice and knowledge with the world and get paid for it. These are the people you see on television and online sharing advice on how to improve your life or grow your business. They are ordinary people who have packaged their successes, research, or life story into advice for others and thus have become “experts” on a given topic, whether it is how to be a better parent, start a business, succeed at work, live with more passion, or any other topic. They are servants of wisdom, and they inspire all of us with what they know. These experts, again, are just average people who have synthesized their life experience and have created products and programs for sale to the public. They have articles, blogs, books, audio programs, DVD home- study courses, podcasts, videos, and more, all of which are extremely easy and cheap to create thanks to the Internet. 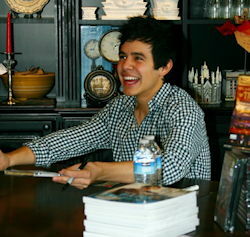 In many cases, they have become well known or famous simply for sharing their advice and how-to content. And they have made millions of dollars doing it. In effect, they have monetized their message, and they get paid more than you could ever fathom. They are millionaire messengers, the entrepreneurial experts of the Information Age. Despite the fact that you may not currently consider yourself an expert or “guru,” the fact is that anyone can be one. Don’t worry; we will reframe the words “expert” and “guru” if you have a negative association with them, because being an expert or guru is just about helping people succeed, which is a very good thing. Becoming an expert is simply a matter of positioning and packaging who you are and what you know so that you can help the greatest number of people in your target audience. You can become a highly influential and highly paid expert on almost any topic you wish, and in this book I will show you how to do just that. What I’m talking about is not about your becoming an expert in order to become a “knowledge worker” for some drone-creating global company. The knowledge worker is a long-dead concept, and in the new creative age—fueled by content, authenticity, trust, search engines, and social media—the new class of creatives and experts will work for themselves and create real relationships with people, based on valuable advice and information. Luckily, because of the great democratization of content and distribution that the Internet has brought us, every one of us can create and distribute valuable how-to content that helps other people. You are about to discover that in this new economy we can all be influencers, and we can all be paid for our knowledge without having to work for someone else. If you have a message and an Internet connection, you can have a career in the expert industry and get paid for what you know. It turns out that mentoring others can be both meaningful and profitable. Importantly, this book is also not about making you a guru in the way most people have thought about it. It is not about telling you how you can become a “motivational” or “inspirational” speaker, though you can certainly do that, too. It is sad that our culture’s only language to describe people who help others has traditionally been limited to the phrase “motivational speaker,” when even those who operate under that moniker do so much more as experts. Speaking is just one of six areas an expert can be paid in; other areas include writing books, conducting workshops, coaching, consulting, and providing online training products and programs. Today’s experts do not have to dominate in all these areas to become wildly wealthy. In fact, I will show you a million-dollar plan for getting your message out there and getting paid for it that may shock you in the simplicity of its implementation. Having said all this, I have been wondering about something for a while. I believe this exact moment constitutes the greatest entrepreneurial opportunity in history and is a small part of a natural and logical development of our economy. People have a great need right now—they need guidance and mentoring and coaching—and you can serve them and make a massive difference (and a fortune) doing so. I know that my words might sound surreal to you. So my aim in this book is to teach you about this industry and make these three arguments to you in such a concrete, rational, and implementable way that you take action and start inspiring and instructing others on how to succeed in life, business, relationships, or whatever topic you choose. You can reach millions of people with your message, and you can get paid millions of dollars for doing so. I have proven it and so have my students. While it might sound like hype, keep reading and you might just discover a new career for yourself (and a higher calling). Brendon Burchard is one of the top business and motivational speakers and entrepreneur mentors in the world, author of the #1 New York Times bestselling book The Millionaire Messenger, and has shared the stage with speakers like Tony Robbins, Deepak Chopra, Marianne Williamson, John Gray, Brian Tracy, Mark Victor Hansen, Andy Andrews, Keith Ferrazzi, Harv Eker, Les Brown, and Jack Canfield. He’s also shared the stage with the Dalai Lama, Tony Hsieh (Zappos CEO), and Sir Richard Branson in inspiring others to be more giving and compassionate while building their businesses. He is founder of Experts Academy. More articles by Brendon Burchard. Author Brendon Burchard reveals 10 steps to building an advice and how-to expert empire. “People will continue to leave the traditional work world in DROVES, and every entrepreneur’s revenue will mostly stem from their advice within 5 years…the online world allows them to quickly monetize their knowledge, experience and advice. — Brendon Burchard – from his newsletter. Get his free training videos at Experts Academy. 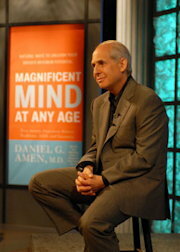 Top photo: psychiatrist and brain imaging specialist Dr. Daniel Amen, who gives PBS presentations such as “Magnificent Mind at Any Age” – from post Taking the leap to become an expert. Another related post: Publish your expertise to help other people.